Our QA441 is a highly productive 20 x 5′ / 6 x 1.5 m double deck screen that comes equipped with our patented, world class, heavy duty Doublescreen system. 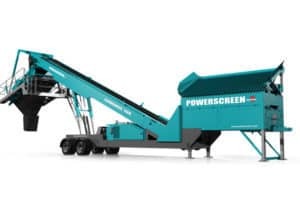 With two independent double deck screens you will effectively get one machine able to perform two screening processes on one plant. We have designed this machine to suit the needs of larger operators. 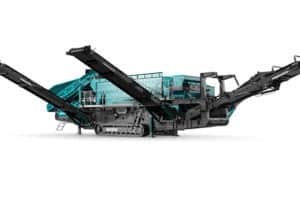 It incorporates a large feed hopper, two independently angled screen boxes and extended product conveyors that offer massive stockpiling capabilities. 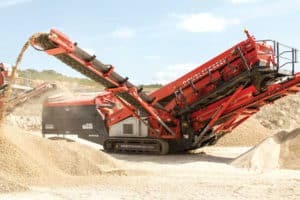 All of this is carried on a durable chassis that is designed to withstand the rigours of a bigger quarry or recycling applications. 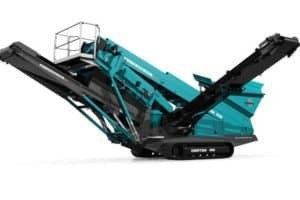 Large volume hopper complete with remote control hydraulic tipping grid.